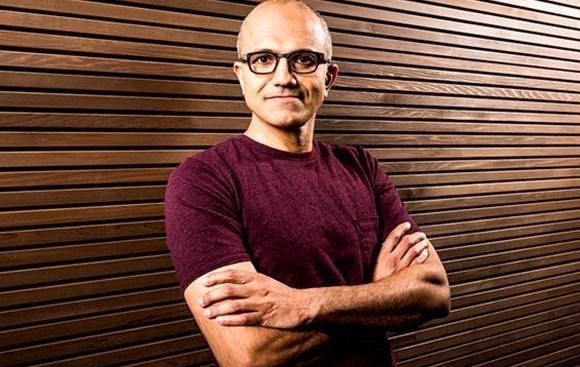 Through the voice of Satya Nadella (pictured below), its CEO, Microsoft today unveiled some bad news for a significant portion of its employees. In an email actually addressed to Microsoft employees, Nadella announced that up to 7,800 jobs will be slashed globally, primarily in the company's phone business. That's the one it acquired from Nokia in 2013. But the bad news related to this deal and Microsoft's standing in the smartphone world doesn't stop there. The company has also unveiled that it "will take an impairment charge of approximately $7.6 billion related to assets associated with the acquisition of the Nokia Devices and Services business in addition to a restructuring charge of approximately $750 million to $850 million". That's basically the entire amount Microsoft paid for Nokia's phone business. The aforementioned write off obviously comes as Microsoft hasn't been able to reach any reasonable market share numbers in the smartphone space throughout the world with its own handsets. And, of course, Windows Phone itself isn't doing better either. That leads us to another point in Nadella's message. Apparently it's time for Microsoft to focus its phone efforts "while driving reinvention". There will be a move "from a strategy to grow a standalone phone business to a strategy to grow and create a vibrant Windows ecosystem that includes our first-party device family". So presumably Microsoft wants to churn out less own-brand devices and see more partners adopt its mobile OS. As for its own smartphones, those will address three customer segments: businesses, value phone buyers, and Windows fans (who will get "the flagship devices they'll love"). This doesn't leave a lot of room for mid-range offerings in Microsoft's portfolio in the future.